When KPU’s Acupuncture Diploma program was announced last year, an acupuncture clinic staffed by KPU students was meant to be one of its most important components. Through the clinic, students would be able to gain practical, professional experience. Now, with the program’s second semester beginning, plans have changed. While real-world clinical experience is still an essential pillar of the program, students will develop it through placements in established clinics around the Lower Mainland. The university’s plans for its own clinic have been abandoned. KPU’s acupuncture program has been altered quite a bit since it was first conceived during a throne speech delivered by premier Christy Clark in 2013, during which she expressed an interest in B.C.’s universities providing education in traditional Chinese medicine. Early in the process of putting the program together, KPU officials made the decision to move away from traditional Chinese medicine as a whole—which includes elements such as herbology, dietary therapy, and massage—and focus exclusively on acupuncture. According to Dr. Salvador Ferreras, KPU provost and vice president academic, the idea of KPU opening its own acupuncture clinic for the diploma program was supported by former B.C. Minister of Advanced Education Amick Virk. When Virk left office in 2014, his successor Andrew Wilkinson took a different attitude to the approach. 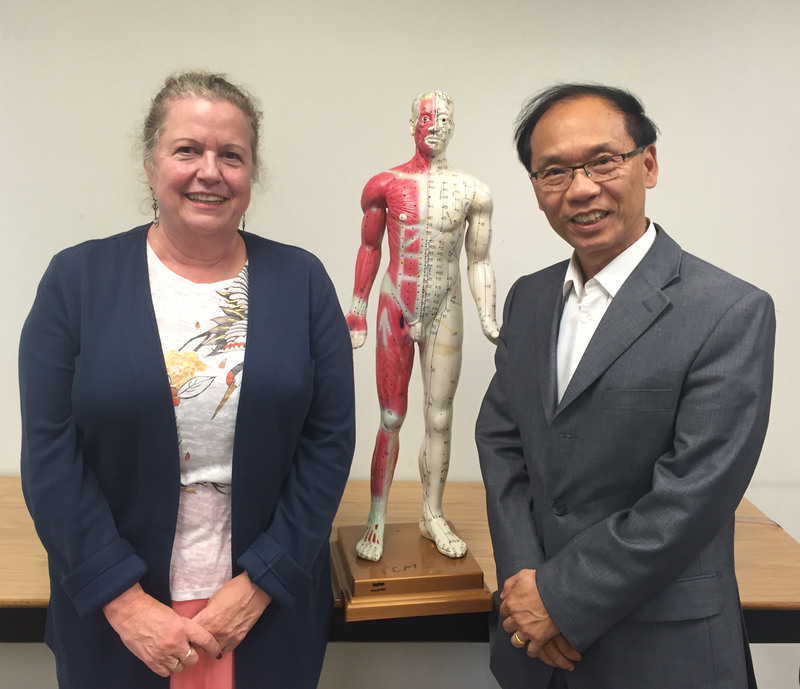 The new decision to place students in pre-established clinics brings the acupuncture program in line with KPU’s nursing program and others which use a similar distributed clinic model. As with the nursing program, acupuncture students in their third semesters will be partnered with businesses and take an initial observation role before being deemed ready to assist in a more active capacity. Students will typically be placed at a rate of two students per clinic. “The ratio of students in our clinics to acupuncturists is extremely low, which means that it’s extremely good. A practitioner will only be supervising two students, which in the health industry is an absolute luxury,” says Ferreras. With the program’s third semester coming up in May, the first generation of KPU acupuncture students will soon be taking their places in clinics around the Lower Mainland. KPU has recently hired a clinical facilitator to oversee this process, whose job is to liaise and build partnerships with acupuncture clinics in Greater Vancouver.